Have you been wondering why each time you make coffee the results are pathetic? Instead of the coffee brew smelling good and tasting good hot, cool and cold, it’s stale and bitter. You may think the type of coffee beans you use is the problem. Maybe that could be the case, but the main problem could be your method of storage. It takes the best coffee canisters to ensure you have fresh and tasty coffee every time you want to brew your favorite beverage. The worst thing you can ever do for your coffee beans is to leave them in the package you bought them in. It does not do your beans any good either if you were to keep them in a fireproof safe or even in a freezer. Leaving the beans in any open bags or pouches exposed to heat, air, light or moisture will not delay the process going bad. Appropriate storage will keep your beans fresh and perfect quality for an excellent brew. Not just any storage container will do a good job. You have to buy the best container. The choice of the best canister for your coffee beans can be daunting especially given the number of brands and models currently in the market. In case you have been struggling with making the right choice, then you can benefit from this review. Here are dedicated reviews of some ten best canisters to help you with proper storage of your coffee beans or grounds. It would be unwise to spend a lot of money to buy premium quality coffee beans only to lose the expected freshness and flavor because of poor storage. The Coffee Gator Stainless Steel container limits any chances of your coffee losing flavor regardless of how long you intend to keep them. The canister offers your beans protection from flavor destroyers. Since coffee naturally emits harmful carbon dioxide when stored, the gas must be vented away. The stainless steel canister from Coffee Gator features innovative freshness valves designed to release carbon dioxide but lockout oxygen from getting into the container. The container is also airtight. When dealing with food containers, watch out for the harmful Bisphenol A or BPA as it is commonly referred to. This airtight coffee canister is made from BPA-free materials making it 100 percent safe use with food materials. Stainless steel does not corrode or rust. Therefore, you do not have to worry about chemicals being emitted into your coffee beans. The construction material is surgical grade. Light and moisture can quickly contaminate your coffee. Luckily, the Coffee Gator canister features quick-release as well as easy-seal bail clasp to keep humidity and light away. The manufacturer provides an intuitive date wheel along with the canister to help you keep things fresh by tracking the ‘best before’ or ‘roasting date.’ You will just love this coffee canister the moment you see it. Friis give you the opportunity to enjoy the authentic taste and flavor of coffee each time you want to brew. It is possible thanks to their 16oz coffee vault canister made of food grade stainless steel. While the container itself is made of stainless steel, its lid or cap is made of BPA-free polymer. The lid has an airtight seal that not only keeps air out but also includes Friis freshness valves release carbon oxide that would otherwise build inside the container. The aim is to keep your beans fresh and allow them to retain their original optimal flavor. A thick stainless steel base ensures your canister is sturdy and durable. The Friis Coffee Vault container comes with a measuring spoon to allow you to scoop out the appropriate amount of coffee beans you need for your brew. There is also a user-friendly instruction guide and the so-called Art of Flavor booklet to help you achieve the most out of your coffee. The vault can hold up to 16 ounces (1 pound) of ground coffee or whole beans. One of the lovely things about this vault is the variety of colors it is available in. You can choose from metallic, black and red models as fits your taste and preferences. Even more beautiful is the fact that Friis offer buyers with one year of Friis Freshness Valves to ensure the canister vents carbon dioxide and other gases that are damaging to stored coffee. Keep your coffee fresh for longer by storing them in Europe’s premium coffee container. The Coffeevac Vacuum Sealed container is one of the best coffee canisters currently in the market. It features a unique design that sets it apart among its competition. Tightpac America engineered the canister to maintain the famous aroma of rich, full coffee flavor. What really sets this coffee container apart is Tightpac’s patented system that creates a partial vacuum to keep your coffee fresher for longer. The system consists of a 2-way valve that allows the carbon dioxide that builds up inside the container to slowly escape while preventing oxygen from accessing the stored coffee. The canisters are available in tinted and robust models to protect light-sensitive beans. Because of its high performance, this coffee container has multiple uses. You can use it to store not only whole coffee beans and grounds but also teas as well as other dry and wet goods. Just a few coffee canisters are this versatile. The Coffeevac Vacuum Sealed Coffee container is very easy to use. To open the vacuum seal, merely push the press button available on the cap and then pull the lid off. To close it, just push the press button and then drive the cap down on to the body of the canister. This action will eliminate the cap volume thereby creating a vacuum seal. The vacuum system works that easily. Planetary Designs offers you a premium quality storage canister for your coffee and food. The Airscape Coffee and Food Storage Canister is large capacity allowing you to store up to 64oz of food material you do not want to go wrong. You can also find a 32oz model. It has a patented lid that removes and locks air, light, and moisture out to protect and preserve the freshness and flavor of your favorite coffee. The Airscape airtight containers are incredibly versatile. 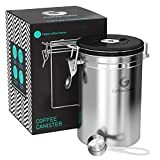 Although marketed primarily for coffee storage, the canister can also extend the life of your tea, sugar, flour, cereals, cookies, nuts, herbs, pet food as well as other perishables. The large storage capacity means you can preserve enough material for your needs. Buy this canister and forget about spending another dime for years. It is made of sturdy and durable materials. While the container is made of high-quality stainless steel, the lid is made of durable BPA-free polymer. The stainless steel comes with an enamel paint finish. This means multiple colors are available to choose from. A brilliant feature you may find attractive is a clear airtight insert that allows you to confirm how much is food or coffee still remaining in the container. 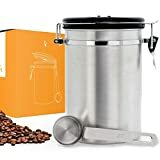 The durable construction of this canister resists staining, odor and taste transfer that may interfere with the freshness and taste of your coffee. Planetary Designs recommend that you hand wash canister as a washing machine can damage it. If you want to enjoy fresh coffee all the time without having to visit a coffee house each morning, then you can trust Kitchables Coffee canister to help you achieve your desires. It is an airtight sealed container that will allow you to store almost anything perishable that can fit inside. Unlike jars and other open storage containers, the canister features CO2 air fresh valve technology that allows carbon dioxide emitted from the stored coffee beans to escape one way. The technology also keeps oxygen and light from entering the container. The sealed lid also prevents moisture from accessing your beans thus preserving them in a dry state. 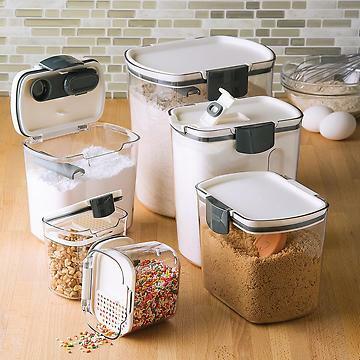 Kitchables canister will allow you to organize your kitchen without any hassles. Its large capacity measuring 17oz is perfect for storing all manner of stuff including whole coffee beans, coffee grounds, and tea bag among other things. It will keep the beverages sealed until your next scoop. Merely pick the canister of the color you love. You can choose from yellow, red, Vienna silver, purple, blue, green and black canisters depending on your preferences. Every purchase of this canister comes with a metal scoop as a bonus. The scoop would cost you about $8 if you were to buy it separately. Are you notorious in losing time? This airtight coffee container comes with a built-in calendar that allows you to keep track of the date you stored your coffee. You can easily track the expiry date of your coffee beans so that you do not miss out on a decent investment. 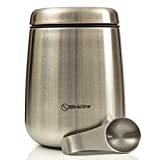 BlinkOne Coffee Canister features a unique design but offers a performance that many brands cannot match. It is an airtight container that has a unique silicon seal designed to preserve the freshness and flavor of whole, roasted beans as well as ground coffee day in day out. Although available in one color, the design is unique. 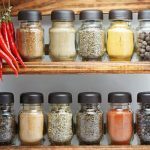 It will not only improve the décor of your kitchen but also help with organization. The elegant design is one thing, but durability is another. This canister is constructed of high-quality materials to last long. The construction material is SS202 stainless steel material which is not only healthy and sturdy but also safe for storing things used as food. Its airtight seal will prevent any air leak, moisture penetration, and carbon dioxide buildup. BlinkOne coffee container is exceptionally versatile. Not only is this airtight container great for storing coffee, but you can also use it to preserve tea, salt, sugar, spice as well as other ingredients that are best when fresh. Thus it is great for helping you to organize your kitchen smartly. The design of this canister is compact and practical. It measures 6.77 inches (Length) by 5 inches (Height) by 5 inches (Width) with a capacity of 15.90oz. It comes with a helpful scoop. You will also get a complimentary coffee guide. The guide is in the PDF format and includes knowledge and tips on how to select and prepare rich, velvety coffee. 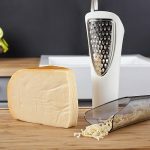 OXO Good Grips is well known when it comes to home and kitchen industry. Their airtight coffee POP container is one of the best you ever buy. Available in three sizes to choose from, this container is engineered to help you enjoy fresh coffee with each scoop. The range of sizes includes 0.9 quarts, 1.5 quarts, and 2.5 quarts. The 1.5 quarts can hold up to 1lb of dried coffee beans or grounds. 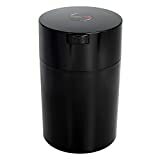 Unlike most other brands and models of coffee canisters in our review, the POP container features a rectangular shape with a stackable design. The modular stacking system allows for proper countertop and pantry organization. It has rounded corners that make pouring very easy. OXO Good Grips used tinted material and stainless steel to make the canister. 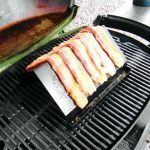 The result is an attractive piece of equipment that will complement your kitchen. The POP container’s airtight seal comes with easy to use with the press of a button. The seal keeps oxygen out and vents carbon dioxide that emits from coffee beans and grounds store within the canister. These features make this airtight container perfect for coffee, spices, tea as well as other UV-light- and moisture sensitive. If you press down the press button seal, it will pop up. The pop-up button serves as the handle for removing the lid. While this unit is suitable for use with dry coffee beans and ground coffee, the recommendation is not to use it with flavored coffee. The canister’s silicon gasket is dishwasher-safe. The other parts are not. Set your eyes on the 16oz Stainless Steel Airtight Canister from Chef’s Star if you have been hunting for the best coffee canister to preserve the freshness and flavor of your coffee beans or grounds. It is a premium-quality grade A canister that will not allow any dangerous UV light and moisture to access the inner contents. The canister is vacuum sealed and features built-in one-way carbon dioxide gas vent valve to ensure that your coffee beans or grounds do not lose flavor due to prolonged storage. Chef’s Star aims to ensure your stored coffee is always fresh. Therefore, they have included in the design of their 16 oz airtight canister a built-in date wheel. Located on the wheel, the date wheel allows you to keep track of your coffee beans and ground’s freshness. Its capacity allows you to keep 1lb bag of coffee beans or grounds which is enough weeks of fresh and tasty coffee brews with each scoop. This airtight container is made from high-quality stainless steel that is durable, restaurant-grade and rust resistant. Your airtight coffee storage container will serve you for years and give your kitchen a facelift. One lovely thing about Chef’s Star as a brand is their customer service. Unlike other brands that have pathetic customer care, Chef’s Star has an excellent relationship with their customers. If you buy this product, you will enjoy one year warranty without any hidden conditions. 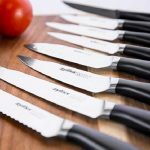 Culinary Prestige is one of the best-known brands when it comes to products that deal with the kitchen. 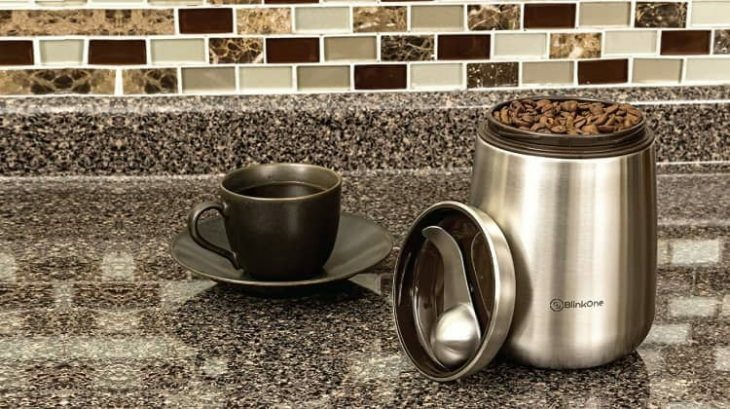 Their stainless steel coffee canister offers you unparalleled storage for your coffee beans and coffee grounds. From design to performance, this engineering fete meets the prestigious description of one of the best airtight coffee canister. The reason why it is an excellent choice for storing coffee is its airtight seal that keeps out oxygen, ultraviolet light, moisture, and heat. It also features a built-in one-way valve that blocks the harmful carbon dioxide that builds up in your storage container from ruining your premium coffee beans. Such factors are notorious for causing stored foodstuff to be spoiled. 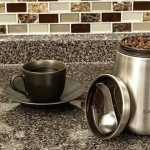 The canister features a roomy design capable of storing up to 16 ounces of full coffee beans and 14 ounces of coffee grounds at a time. That’s large enough space to allow you to store coffee for your entire family and friends. It is available in two sizes (medium and large) and two colors (black and silver). The choice is yours to make. As a fresh approach, Culinary Prestige has included a built-in freshness calendar that enables you to effortlessly and precisely track the day and the month on which the coffee is supposed to expire. The aim is to ensure you enjoy perfect freshness each morning you wake up with cravings for creamy and tasty coffee brew. The canister’s beautiful design means it makes a lovely gift. 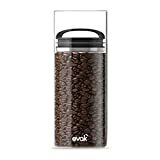 Although appearing in the last position of our top 10 best coffee canisters, EVAK Food Storage Container merits being among the best you can ever come across. 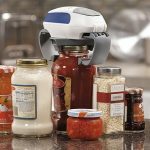 Its technologically advanced features make it the ideal choice for preserving not only coffee but also other perishables such as cereals and tea. Made by Prepara, this premium airtight canister features a patent pending twin valve air flow system. The technology automatically removes air, moisture, heat, and oxygen while releasing carbon dioxide for optimal food freshness. This technology is unique and promises to revolutionize the coffee canister industry. The EVAK storage container is incredibly easy to use. All you need to do to store items inside is to push the plunger down. Such action will expel air out. To open, simply pull the plunger up. It means you do not have to contend with cumbersome clips, buttons, levers or switches. The dangerous comes out through a simple push and pull mechanism. Prepara made durability and safety their primary concern when making the EVAK food storage container. It is made from high-quality borosilicate glass that is odor and stain proof. The glass is transparent to allow you to see how much of your coffee beans are remaining after every scoop. 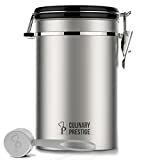 Food-grade stainless steel also forms part of the canister. Only the glass and the stainless steel come into contact with food. Featuring a compact style, the canister is available in different sizes to suit the vast needs of Prepara’s customers. The slim style also means you can keep the canister in your pantry, cupboard or kitchen cabinet without taking too much space. Proper coffee storage is vital for all coffee connoisseurs. The reason is that spoiled coffee is acidic, bitter, smells terrible and tastes terrible. Proper storage is only possible if you have the right tool. With so many brands of coffee canisters currently in the market, you can find it difficult to make the right choice. However, using our buying guide can make the process much more manageable. The following are a few factors you need to take into account if you are looking for the best container to store coffee. The first and potentially the most critical consideration is the seal. The question you should ask is whether the lid of the canister is airtight. It is essential that you store your favorite coffee beans or grounds where the air is out. It would be a good idea to consider a canister with a rubber ring around the lid. The rubber will provide an airtight seal that keeps air out. An airtight canister will eliminate and prevent the adverse effects of exposure to air, moisture, direct UV rays, and excessive heat. Eliminating these conditions is what keeps the coffee or any other food stored inside the canister fresh with the pleasant aroma and good taste. Besides airtight seal, you should look for the presence of vaults in your preferred coffee canister. The vaults aim to contribute to maintaining the freshness, aroma, and taste of coffee beans or coffee grounds. An efficient and effective vault should have carbon dioxide venting vaults. Coffee and indeed any stored foods usually emit carbon dioxide which accumulates and hasted the process of decay. The venting valves force the oxygen and air out and encourage the release of CO2 to the atmosphere. The vaults are one-way meaning they do not allow any gases to go inside the canister. Since factors such as carbon dioxide, excessive heat, air, light, and moisture interfere with the freshness of coffee, the integrity of the container should also perfect. A sturdy and durable will not easily break and leak thus exposing the coffee to the damaging factors. The structure of the canister should be compact and durable to eliminate your worries when handling. 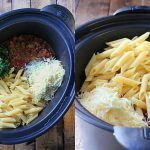 A compact design also means you will not have any storage worries as the canister can fit on tight spaces in your pantry, cupboard or kitchen cabinet. The rubber seals should also be strong and sturdy. In dealing with food materials, safety is a significant concern. Since your coffee canister will come into contact with items used for food, it is essential that the materials used in construction are safe. Bisphenol A (BPA) is an industrial chemical commonly used in making resins and plastics. BPA is usually present in polycarbonate plastics used in making food bearing containers. Epoxy resins that also contain BPA are used to line up the inner aspects of metallic food containers. The BPA may seep into food contained in containers lined with it. Research indicates that BPA at large doses is highly toxic if consumed. FDA says BPA is safe in tiny doses. Since you cannot be sure of the amount that may seep into your stored coffee, it would be wise to avoid materials made of BPA entirely. To be on the safe side, choose a canister made of BPA-free plastic. Alternatively, you can buy one made of food-grade stainless steel. 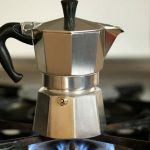 While the presence of accessories do not determine whether a coffee canister will be effective or not, they are helpful in making your work easier. There are two essential accessories you need to consider – a scoop and a date wheel or calendar. A scoop will help you enjoy your coffee with ease. Some scoops are calibrated with measurements to allow you to scoop just enough coffee beans or grounds for your needs. Another vital accessory to look for is a date wheel or a calendar. When you buy coffee beans or grounds, you will find an expiry date on the package. You can set the best before date and month so that you do not let the coffee spoil because of staying longer than its life. In most cases, the date wheel is built-in as part of the lid. Q: Why is storing coffee in a freezer or refrigerator not recommended? Ans: Taking the coffee in and out of the freezer or refrigerator can cause condensation. This can quickly deteriorate the coffee making it go bad faster than it should. The coffee will smell bad and lose flavor. Ans: Once you buy the best coffee canister, it will be needless to store the container inside a fridge or freezer. While condensation may not affect the coffee stored inside the canister, the lower temperatures may interfere with freshness. Q: How long does ground coffee stay fresh? Ans: You will have to rely on the printed date present on the ground coffee package. Sealed, the ground coffee can last for 3 to 5 months. Coffee beans can last for 6 to 9 months. Storing the coffee beans or grounds in a canister can make them last even longer. Q: What is the best coffee container? Ans: This is a hard question to answer. You can use our top 10 best coffee canister reviews to make a choice. Alternatively, you can use the buying guide to help you with research. Ultimately, the best coffee canister is one that will satisfy your needs as a coffee aficionado. That’s it. You now have enough information at your fingertips to step out and buy the best coffee canister. We are confident that the top 10 airtight coffee containers we have reviewed have what it takes to make it to the top. But we also understand that people have different tastes and preferences. If you do not find a model that meets your standards then use the information we provided in the guide to make an informed choice. Hopefully, you will have a pleasant shopping experience that will help you enjoy fresh and tasty coffee each time the craving strikes.